I have purchased manage jewellery rolls over the years and I continue to think they make great Christmas presents for female friends and family. They are very useful way to store everyday jewellery that never makes it to your jewellery box or somewhere to store the overflow! Either way they do not have to be just used for holidays which means that you can easily own more than one. I love the leather jewellery rolls and they provide good protection to your jewellery and often have earring holders as well as the usual compartments for necklaces and bracelets. 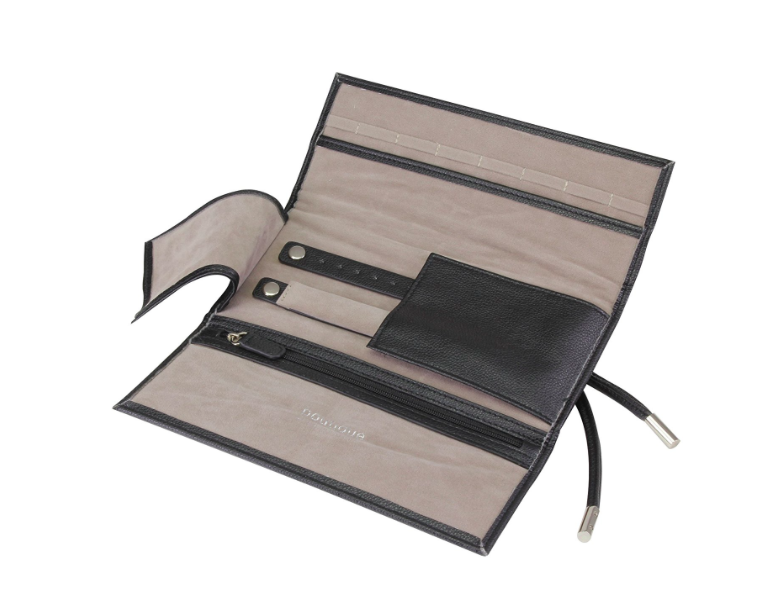 Dulwich Designs always have a good range of leather jewellery rolls and I have found one on Amazon £18.99 which is unbeatable value. 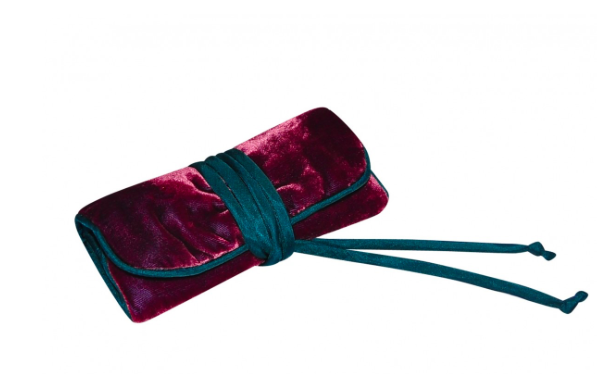 If you prefer a sumptuous velvet which is wonderfully Christmas like, then Earth Squared have always been a favourite of mine with beautifully made jewellery rolls. Not only that, they are also a fair trade supplier of very high quality accessories such as bags, and scarves too. I particularly like their mulberry coloured jewellery roll – a perfect gift for Christmas.